Everyone who appreciates attractive spaces enjoys walking through a Decorators Showcase Home. Over ten years ago there was only a small handful of organizations who sponsored these homes who had any relevance. However, today they are popping up all over the place providing an opportunity for the young as well as the more seasoned Interior Designers a platform to preview some of their best and brightest ideas to the public. Some of the more notable showcase homes are on opposite coasts and are the San Francisco Decorators Showcase Home, and Kips Bay which usually takes place in Manhattan. These institutions have been hosting showcase homes for over 25 years which is a direct vehicle to raising needed funds for various schools. Tickets are sold to preview these homes and the profits go directly to each charity or school. The renovations and designs of each room are preformed by individual interior design firms and can be funded by by the home owner, or not. So what you are previewing is largely funded by the interior design firms and considered a "Marketing Expense" as well as the most provoking and high end design. It can be the perfect opportunity for an Interior Designer to be totally creative without a client guiding and directing the design, if the design goes "unsponsored". Many other savvy developers, property managers, shelter magazines and networks, as well as home product vendors have sponsored some incredible Decorator Showcase Homes in the past decade. 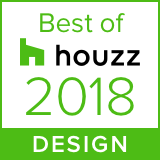 Here is a list of the more notable ones: Elle Decor Decorator Showcase Home, Hampton Designer Show House, Charleston's Symphony Designer Showhouse, The Junior League Designer Showcase in most towns, along with many others. Below are some of the very few favorites of mine.